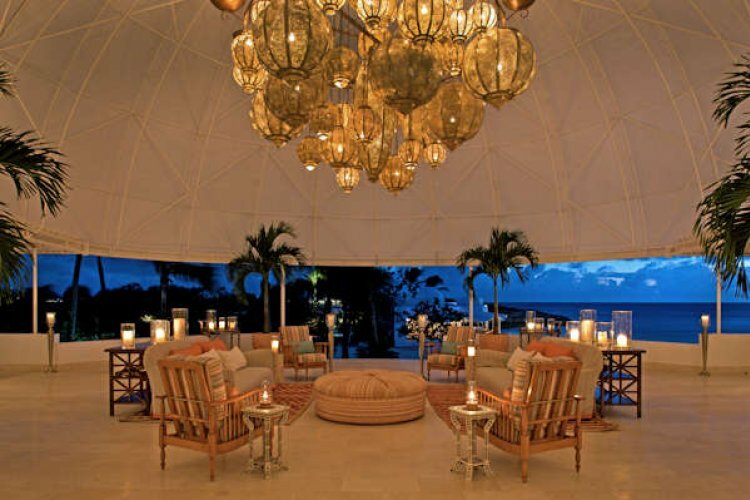 Escape to the small treasure in the northern Caribbean and indulge in peaceful tranquility in Anguilla. Lose yourself in the expansive coral reefs, private bays, pristine white sandy beaches and calm turquoise waters. Enjoy the finest facilities for water sports and land sports including kayaking, snorkeling, golf, croquet and many more. Or simply indulge yourself in a relaxing massage or beauty treatment. Wake up to breath-taking views of the Caribbean ocean every morning as each room is oceanfront. Feel the gentle breeze blow on your private covered terrace. Choose from luxury rooms including Oceanfront Superior Room, Oceanfront Junior Suite, Oceanfront One or Two Bedroom Suite and many more. Or escape the rest of the world in your very own Oceanfront Private Pool Villa. Each room boasts all the latest modern amenities to make your stay even more comfortable. Be sure experience the excellent culinary dishes at Cap Juluca which will leave you truly amazed. The resort is one of international inspiration combined with the flavours of the island. Enjoy mouth-watering cuisines cooked fresh just for you. One bite of the magnificent flavours will leave you mesmerized. Choose from a romantic private dinner on the beach or enjoy dining on the private terrace of your own room. "Excellent - 30 degrees, with short showers on most days."